At first the bath was an unpleasant experience. The tub was a metal and sized for a smaller man than Paul, a child maybe. She filled it with water drawn from buckets that were held over a small fire to warm. When asked if she had fetched all of them herself, Tani shrugged and said that no one else would do it. He undressed carefully, blushing the whole time as he ordered the girl to at least turn around. She insisted on helping him bathe though, saying his arm could not support the bending and movement required. As he lay soaking in the warm water, his eyes wandering over the wounds on his arm and chest, he marveled at how well they were healing. The girl’s poultices had done amazing things towards removing the hideous gashes and scars. She knows her trade, he thought as she knelt behind him to scrub at his back. Her hands were gentle but firm, her skin warm but callused. She unknotted his muscles and scrubbed the dirt from his skin in a slow, relaxing way that made Paul feel at home and comfortable. The tension and fear and apprehension from the previous week began to evaporate. His eyes closed and all there was in the world was warm water and Tani’s hands. Soon her hands were massaging his shoulders and upper arms as well, careful around his wounds. She soothed the tightness at his neck and under his ears. He floated somewhere between relaxed awareness and sleep. Before, she seemed to despise me and now she is caring as… If she were not common I would find her… what? His eyes opened then, the thought turning him dark at the cheeks again. Her hands had moved to his upper chest, scrubbing at dried blood. Her arms were around his shoulders, her cheek next to his. He felt her heat against his back and breathed in her earthy scent. He turned his head and caught her eye for just a moment. Her hands paused and her body stiffened as if she’d just realized what she was doing. He felt his body respond, stiffening beneath the water. She is common folk, he told himself, alarmed at his own reaction. Tani dropped the soap into the water and backed off of him quickly. “You can wash yourself, my lord,” she snapped and then was gone, walking quickly back to the house. With a groan, Paul slid lower into the water and covered his face with hands. That night he dreamt of her. He imagined her in the farmyard with spade handle and dead chickens at her feet. There was half of a dead cow stuffed into the well and a big man sat on a bear with a sword made of dead ravens. He circled her, taunting her. He cut off the wool dress she was wearing with the carrion blade. She tried to fight back but he plunged the sword into her flesh. Paul woke up sweating. Later that day he was on his bed with a knot of bred and cheese when he saw Tani out in the yard through one of the small windows. She was dragging two sacks of grain for animals to the yard, her arms straining under the weight as she pulled them through the dirt. At the well she stopped, sitting on the stone rim and glanced back at the main part of the house. For a moment Paul thought he saw her about to break down, her face contorting and about to cry, but she calmed herself and stood again. Paul was amazed by her more and more as each new day passed. She cared for him and her grandmother, did all of the farm work and still managed to rise earlier than either of them. She’s made of braver things than me, he admitted and found the thought less shameful than he used to. There was no reason for her not to be braver just because of her birth. Birth means nothing to the Three Tenants of Nobility, only to our fathers. Paul slid off the bed and watched as she grabbed the grain again. She tugged and the bag ripped, spilling the contents onto the dusty ground. For a moment she just stood there, staring at the grain as it poured out, forming a small mound in the dirt. Her dumbstruck look lasted for several moments and then she dropped to the ground and covered her face with her hands. She sobbed silently but Paul could see her shoulders shaking. He felt his chest tighten and an overwhelming sense of pity and sorrow came unbidden to his mind. She deserves better, he thought. He got up and went out to help her. He never said a word but bent to scoop up handful after handful of grain back into the bag, which had to be held shut. Despite the pain in his shoulder, which screamed from the weight, he hefted it for her all the way to the barn. The rest of the day he helped her with the chores. They talked little but laughed a few times as his hands clumsily tried to wrap themselves around a cow’s udders. He found the work disgusting at first but as the day went on it seemed to help him take his mind off his father and his home. So the days went on and by the time a fortnight passed he was helping with just about every chore around the farm. Tani still checked on him but less frequently as the wounds closed and knitted. He noticed some people came to the house and he could hear their voices speaking quietly with her. After that she asked him the same question everyday. When was he leaving? Wasn’t he better yet? Paul never knew how to answer her. Do I have anywhere to go now? Will my father even recognize me as his when I go home? He told himself that wasn’t why he stayed each morning, grateful for a full day’s worth of chores. Each day it got a little harder to brush her off as such a common girl. She was strong, willful and not at all like some of the noble women who came to his father’s court. She talked to him like he was an equal, even if they weren’t. 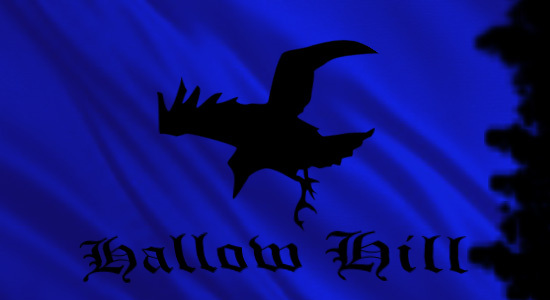 This entry was posted in Fantasy, Original Fiction and tagged Fantasy, Hallow Hill, The Aranor Saga. Bookmark the permalink.